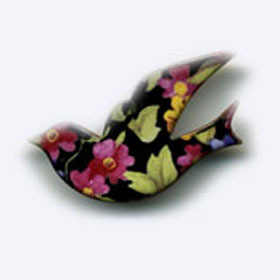 We stock a wide range of handmade ceramic jewellery (brooches, pendants and stud earrings - all £10 each) by Cornish company stockwell ceramics. 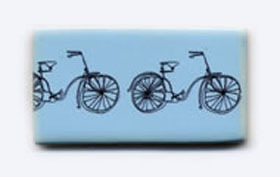 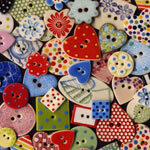 We also stock a huge selection of their gorgeous handmade ceramic buttons. 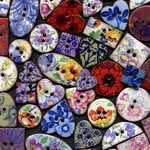 They are priced at £1.60 each or 5 for £7. 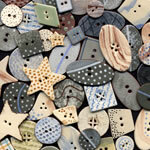 These cute buttons are machine washable and make the perfect finishing touch to any of your own handmade creations.